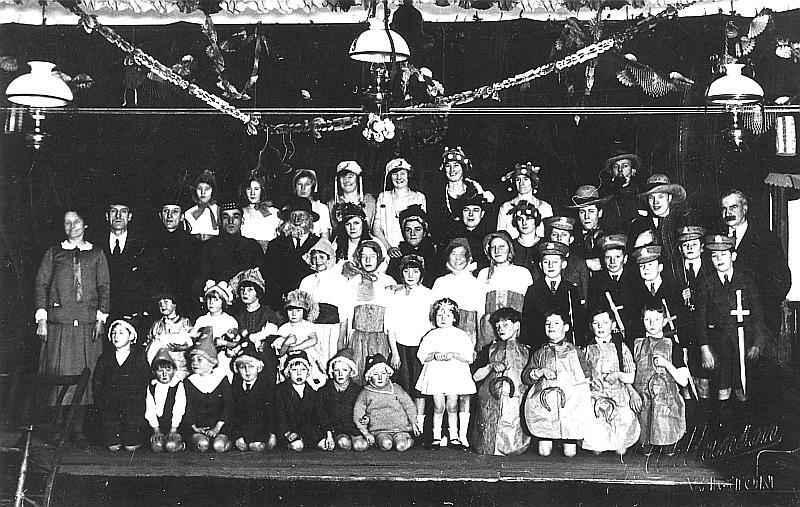 The above and below photographs showing the casts of what appear to be quite large-scale productions in The George Moore Memorial Hall were kindly provided by Mealsgate resident, Mr Peter Marr and his sister, Mrs Jean Fearon, Secretary to The Trustees at Silloth Nursing Home. If you can provide further information about these theatrical productions or put names to faces, I'd be delighted to hear from you. Email. Julie Edgar writes that the person crouched on the extreme right of the bottom row is Margaret Richardson, wife of Eric Graham who managed the Old Co-op Shop in Mealsgate in the 1960s. 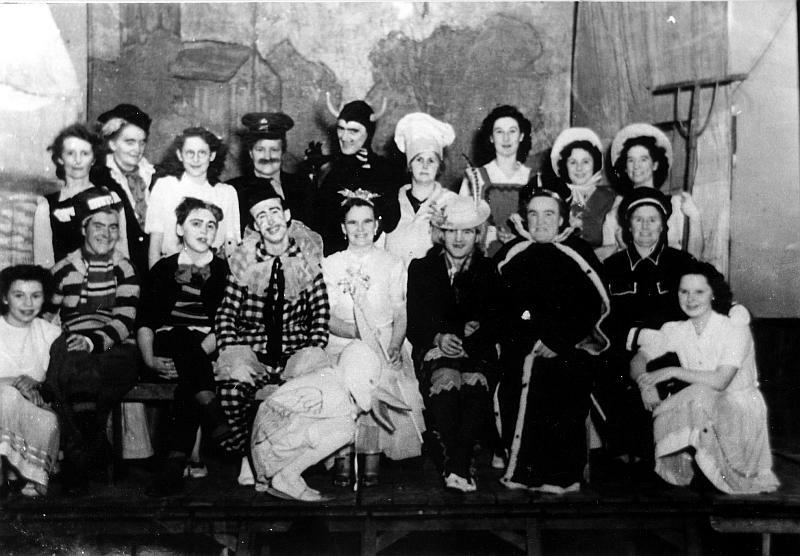 The person third from the right on the bottom row wearing a black floor-length coat with white trim is Julie's great aunt, Margaret Lowther. To view more photographs taken inside the Memorial Hall, click here.